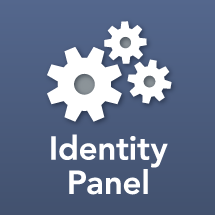 Identity Panel uses the rule engine for date time formatting. DateTime functions may be found in the rule helper, which is opened by pressing the "?" icon. You may use any .NET format string with DateTimeFormat (see .NET Custom Date and Time Format Strings).